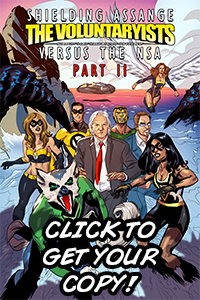 Saving Snowden: The Voluntaryists versus The NSA INDIEGOGO NOW LIVE! Hello friends! 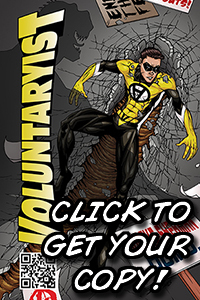 I am excited to announce that the next Voluntaryist comic campaign is now live! 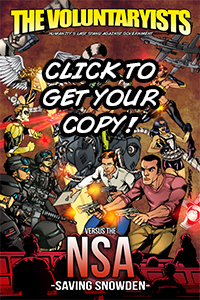 Saving Snowden: The Voluntaryists versus The NSA is the next issue out and it’s bringing to light the intensive global government spying perpetrated by the prying NSA. Thank you for continuing to stand for liberty. I’m more excited than ever to bring the message of true freedom into new mediums! 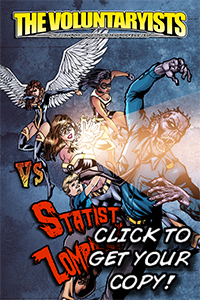 This entry was posted on June 28, 2015 by Voluntaryist. 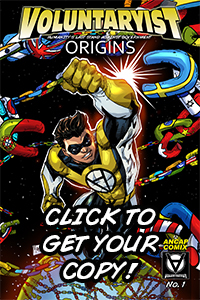 It was filed under Indiegogo Updates, Teasers and was tagged with agora, agorism, agorist, comic book, graphic novel, libertarian, libertarianism, libertarians, liberty, nsa graphic novel, nsa snowden, putin, russia, save snowden, saving snowden, saving snowden comic, savingsnowden, snowden comic, snowden comic book, snowden graphic novel, voluntaryism, voluntaryist.